Ebooks are electronic versions of textbooks that may be accessed on a computer or mobile device. Look for the symbol on the online course materials list or the orange sticker on the shelf tags in the store. EBK precedes the title and indicates that the listing refers to an electronic version of the book. Most ebooks may be downloaded from the Bookstore website and purchased in the store, but some are only available via in-store access codes. Requirements and specifications vary by publisher and title. Click the 'requirements' link next to each ebook title on your list to determine compatibility and rules. Most ebooks may be accessed via Android and iOS devices such Apple iPad and iPad Mini. Most titles are not compatible with traditional Kindle and Nook devices. 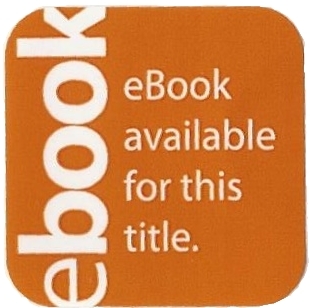 An orange ebook sticker on the shelf tag means an electronic version is available.